The brakes are an essential system in your car. Faulty brakes put you at risk of an accident, so it’s critical to your car’s well-being—and yours—to always keep your brake system in good working condition. If you notice a problem with your brakes, it’s in your best interest to have the issue investigated by a Sunshine Coast Audi service technician sooner rather than later. 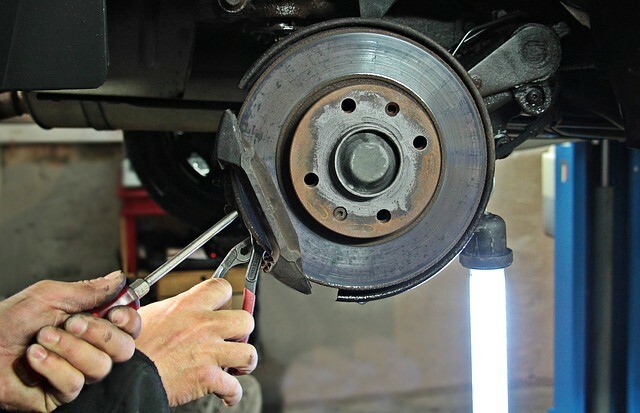 Even if you have your brakes checked with each maintenance service, you still need to pay attention to signs and symptoms of a potential brake problem. Here are four things to watch out for. Your tyres are the first thing you should look at if you believe you have a brake problem. If you feel a little skid when you step on the brakes even when you’re driving at moderate speeds, it’s possible that your tyres have become dangerously bald. Check your tire treads to make sure they are still at reasonable thickness. Grinding, screeching, and squealing noises that occur every time you step on the brake pedal indicate worn brake pads. The cause of these noises is likely the brake disc pressing on the indicator, a small metal shim imbedded in the pads that surface when the pads get too thin. Make sure to replace your pads in pairs, meaning when you replace the rear left pad, replace the rear right pad as well. This is to ensure both pads are working equally well. When the car vibrates while braking, this could indicate warping in the brake discs. If the mechanic confirms disc warpage, you don’t necessarily have to replace your discs right away. Many machine shops perform disc resurfacing services to make the disc surfaces smooth again. If the warpage is too severe, however, replace your discs immediately. Like your pads, you’ll also need to replace your discs in pairs. If your brake pedal reaches all the way to the cabin floor and yet the system doesn’t feel fully engaged, you may have an air or fluid leak somewhere in the system. Air or water that find its way in your brake system’s leaky pipes and hoses can be the cause of all that sponginess. Leaky or damaged pipes and hoses in your brake system deserve immediate replacement. At the first sign of a brake problem, make an appointment with your Sunshine Coast BMW service centre. For friendly and reliable automotive services, head on to trusted automotive service providers like SVS AutoCare.